What do government buildings, factories, hospitals, restaurants and schools have in common? This is not a trick question. But the answer might surprise you. All five of these are businesses and/or public services that require a continuous application of power. Consider what might happen, for example, if a hospital were to suddenly shut down and lose power while patients are in surgery, in MRI machines, or giving birth? While it may sound extreme, the only reason this hasn’t happened yet is probably because big businesses and public services use a small component that has been installed on a generator. Small but powerful, that’s the automatic transfer switch. “ATS” stands for “automatic transfer switch”. 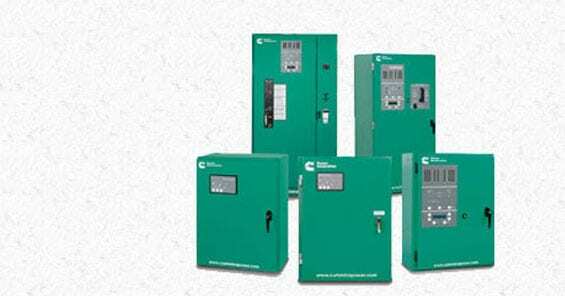 Transfer switches come in either automatic or manual and they are the mechanisms that kick-start a generator into gear. As you might imagine, an automatic transfer switch sends a signal to your generator to kick in without interrupting the flow of electricity. There might be a few seconds of darkness, but the transfer gets handed off nearly seamlessly. Manual transfers require an individual to head outside where the generator is located and connect the transfer switch to manually start the generator. Naturally, the choice between the two, in terms of convenience, is pretty clear: automatic seems like a clear winner, right? Well, choosing between an automatic transfer switch and a manual transfer switch depends on a variety of factors including your personal budget, your electrical demands and what your energy is actually powering. There’s one other thing to consider as well, however: Where you live. If your area, town or country is prone to seasonal loss of power (because of heat in the summer, for example) or you live in a more rural area, choosing a trusted generator service company to professionally install an automatic transfer switch would be worth the investment. Automatic transfer switches also require maintenance, after your service provider has accurately sized the transfer switch, according to your backup generator’s load. A manual transfer switch costs less and is easier to install, but the trade-off is a prolonged period of power interruption. While this option still requires professional installation, the simplicity of the job knocks down the price. There are five types of businesses and public services that could benefit from choosing automatic transfer switches instead of the manual option. These are government services and buildings, hospitals and medical centers, restaurants and hotels, factories and manufacturing plants, and schools. These kinds of services and businesses require a smooth and uninterrupted flow of power. Since an ATS automatically senses a loss of electricity, it allows the changeover to occur without a break in business. For commercial centers, hospitality-based businesses and retail or commercial businesses, the choice of an automatic transfer switch is less of a “life-and-death” situation and more one of perception and guest services. Continuing uninterrupted might not be a dire need but it greatly affects a patron’s experience of your establishment. Manufacturing plants and factories fall under more of a need since their operations are often a workflow or a process. Assembly lines, robots and programs intended to put together products, print, and run general operations, when interrupted, could have their own built-in safety mechanisms. These mechanisms might trigger at a loss of power. This means that even if power were restored, the loss of power and downtime could affect the process negatively or require another manual intervention from a specialist who must then come in and reset these machines. The result is obviously chaos. If you run or work at an institution or organization that comes under these five types of places, you might consider making a switch. Automatic transfer switches come with clear advantages but there’s no such thing as a free lunch, as the saying goes. Reduced downtime: having to head out to where your generator is located makes ATSs much less time-consuming. Additionally, if your generator is located somewhere that’s hard to reach, an automatic transfer switch is not a choice, it’s a necessity. Safety first: Using an ATS means you pay more but you also reduce your own financial liability when it comes to patrons and those who access social services like hospitals. In terms of restaurants, hotels and retail centers, this becomes a matter of customer service and the risk of a loss of business. But there’s one more aspect to the benefit of an ATS. Using an automatic transfer switch means you’re not putting an employee in harm’s way or risking them toying with electrical equipment while on the clock. Keep the essentials going: The ATS option allows businesses and services to pick and choose which aspects of your power supply are impacted and which are automatically switched over. For example, if you work in an office building that specializes in digital and data security and some of your data towers are housed within the building, the ATS could ensure that the towers are protected, first and foremost, while the lights or lunchroom refrigerator can be less of a priority. While ATSs have clear advantages, they’re only machines and have been known to error, responding to false signals. This wastes generator power, but it’s not as though the entire system trips or overloads. In the grand scheme of things, having an ATS, though entailing great upfront cost, expert installation and maintenance, is the right solution if your business is in the business of serving people. That’s what is at the core of these five businesses — yes, including factories and plants. While machines have reached a state of automation, they, like an ATS, still require help and input from humans. So make your decision wisely, considering these factors, but perhaps giving the human element the greatest weight.